After the last series saw huge applause across the Wheatbelt – including average audiences of 144 people and venue records broken – WAM is excited to announce the 2016/17 Wheatbelt Touring Circuit. With record interest seeing over 150 WA acts applying to be part of it, star-studded line-ups across the series are guaranteed. First evidence off the rank, the opening tour in July will be headlined by the multi-WA Music Award-winning moody rock swagger of The Kill Devil Hills with support from the WAMi-nominated folk gem Riley Pearce on all dates, plus an incredible line-up of locals including Kitt Byfield in Northam, The Primary Collective feat Wheatbelt WAMbassador Jayden Crook in Merredin and Narrogin Musicians Association guest Thump in Quindanning. In partnership with RAC and Narrogin Musicians Association, and with support from DCA, Royalties For Regions, and Country Arts WA. WAM’s Wheatbelt Touring Circuit keeps going from strength to strength. Let the good times rock’n’roll! THE KILL DEVIL HILLS: Fresh from their fourth studio album release, In On Under Near Water, this multi-award winning six-piece continues to carve out a sonic landscape all their own. 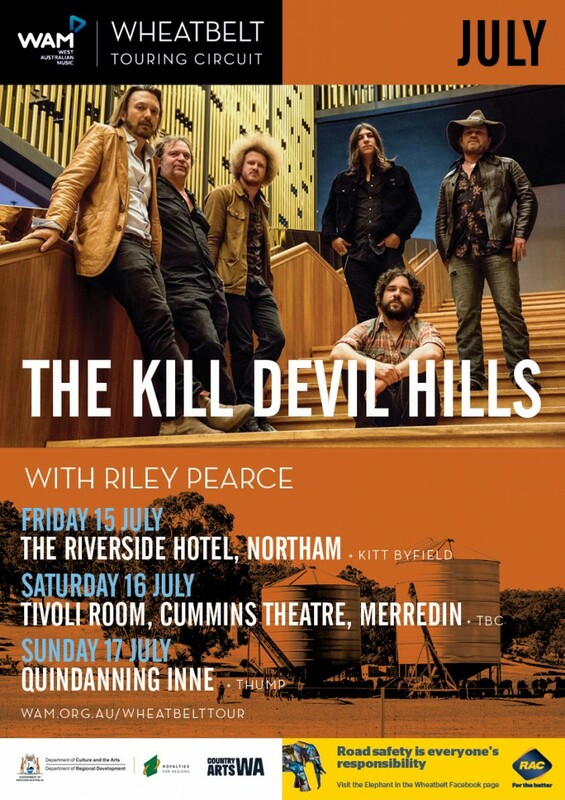 A hypnotizing mash of swamp, punk, country-rock, blues and folk, The Kill Devils are a West Australian super-group. 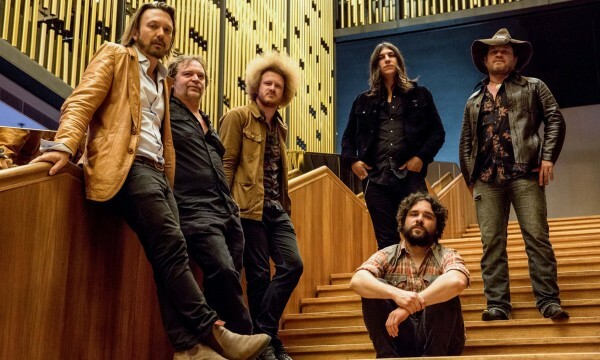 Comprising of WAM Award winning artists Timothy Nelson, Todd Pickett and Ryan Dux, alongside the inarguable talents of Alex Archer, Brendon Humphries and Steve Joines, The Hills’ are a local listening force that can’t be ignored. RILEY PEARCE: Calling on a mix of percussive guitar, raw and captivating vocals, and an honest brand of songwriting, this 23yr old singer/songwriter manages to achieve both a chilled and upbeat vibe in his songs. With two EPs (We Are Fools, Outside The Lines) and an impressive array of support slots now under his belt, the industry sings nothing but praise for this talented up-and-comer. NARROGIN MUSICIANS ASSOCIATION: With a rich heritage, NMA are an organisation interested in the promotion of music in the Narrogin area, including acting as the Big Bash committee and organising events such as performances, jam sessions and transport to concerts. We’re lucky to feature a special guest from the group at the Quindanning Inne show. THUMP: Moving to Narrogin in 2001 Patrick Steinbacher, met local drummer Geoff Rowe (who initially tried to sell him a house), where they started playing together in a band called Tanglefoot. They played in Narrogin and surrounds for a few years before both moving away, Geoff to Bunbury and Pat to Bridgetown. It wasn’t long before they hooked up again in a band called The Peaks, but now Thump is their latest venture – a raw, raucous rollicking noisy blues playing two piece.